and will love me forever . . .
An absolutely lovely tribute, Gini. Love the special touch with the hydrangeas! Thank you, Linda . . . Hydrangea's are my one of my most favorite flowers. Hope you had a wonderful Mother's Day! Thank you so much, Colleen. This was a beautiful Post and lovely tribute. Thank you, Betty . 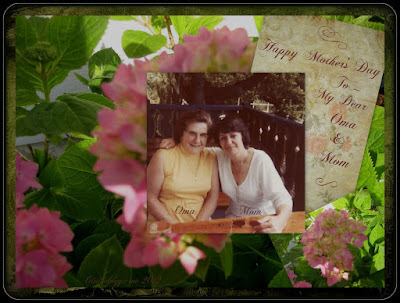 . . two beautiful ladies I miss so very much. Hope you had a great day too.